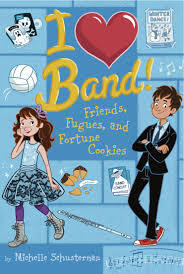 It’s time for another Bookanista recommendation: Michelle Schusterman’s delightful new MG series, I Heart Band. First things first: I ♥ I HEART BAND! I love what this series features: friendship, community, and creativity. Oh, and French horns, which I played in my middle-school band (oh, the memories!) 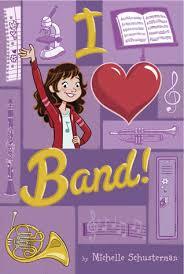 In addition to being hilarious and heartfelt (and containing an ideal amount of pitch-perfect MG crush and friend drama), this series admirably celebrates music education, which is disappearing from far too many schools. Both Book 1 and Book 2 (Friends, Fugues, and Fortune Cookies) are available today! I can’t wait to start reading this series! Yay Michelle! This series looks so cute – definitely adding to my TBR-list!